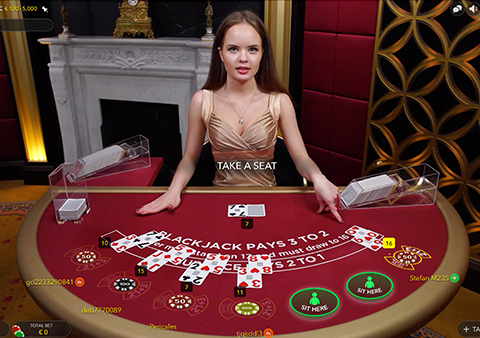 Poker is among the most popular and acknowledged casino games, and it will require you to know the game for you to be able to play the game with a strategy and for you to have the advantage over the house and other players. 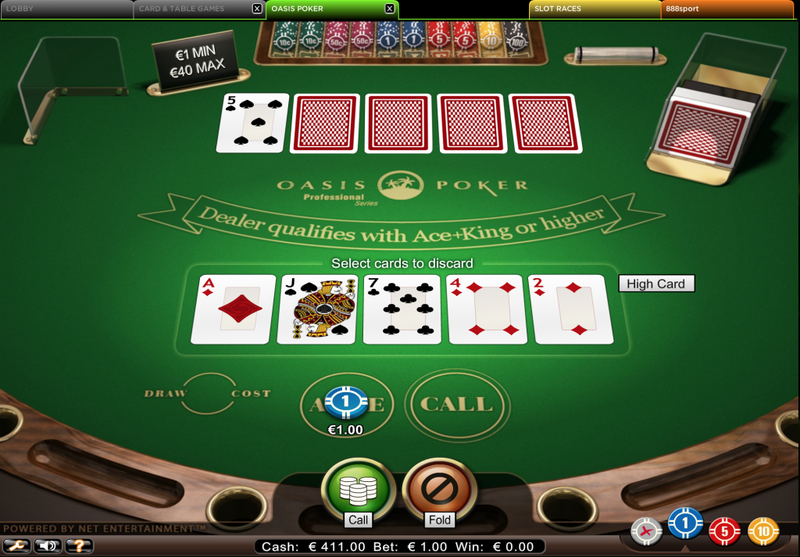 Oasis Poker is a variant of Caribbean Poker. 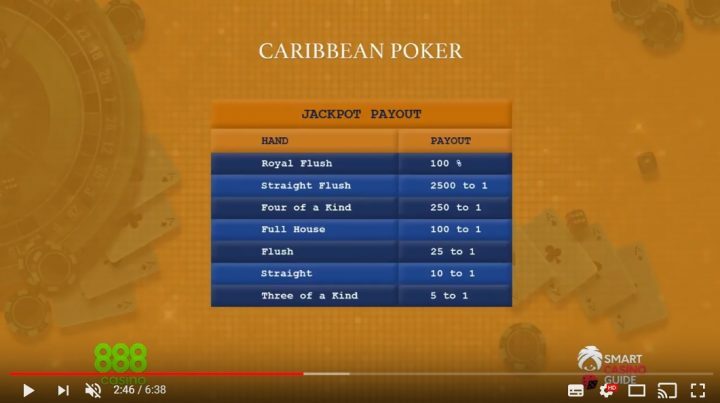 Caribbean Stud Poker is played against the house and not other players. With Caribbean Stud Poker, you need to be very keen on your judgment and need not to worry about other players on the table. The rules to Oasis Poker are similar to those of Caribbean stud poker apart from the fact that the player is permitted to pay a fee to switch the cards before he can decide to raise or fold. 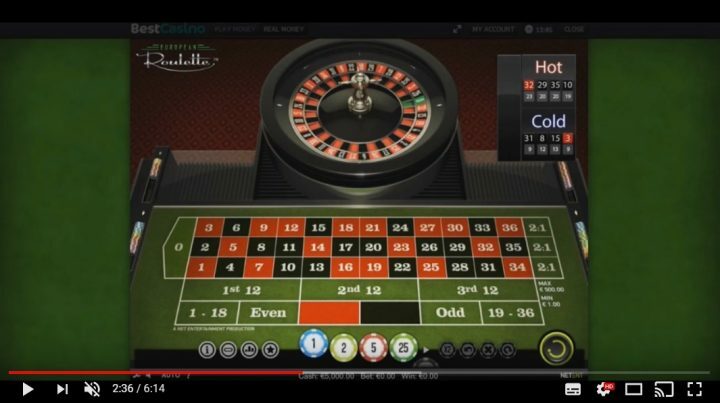 This is not one of the most prevalent versions of the game in the domain but is popular in East Europe, online casinos and North Africa. When playing this game, you will be dealt with five cards from one deck of 52-cards after you make your ante bet. The dealer will only reveal the last of his five cards. After getting your cards, you have the option to switch out one or more of the cards. For you to switch, you are required to make another bet that is equal ante bet. This being the case, it will be smart if you do not switch your cards often. There are instances when you should replace the cards. One of these instances is when you have four to a straight flush or a royal flush but not when you have a flush or a pat straight. Another instance is when you have four to a flush but without a better or pair. The third circumstance when you can switch your cards will be when you have four to an open-ended straight but not a better or pair. If you make use of this replacement feature, you will get a good house edge of 1.2% for a hand. If you choose not to follow this strategy, you will give the casino a greater cut on the bankroll. 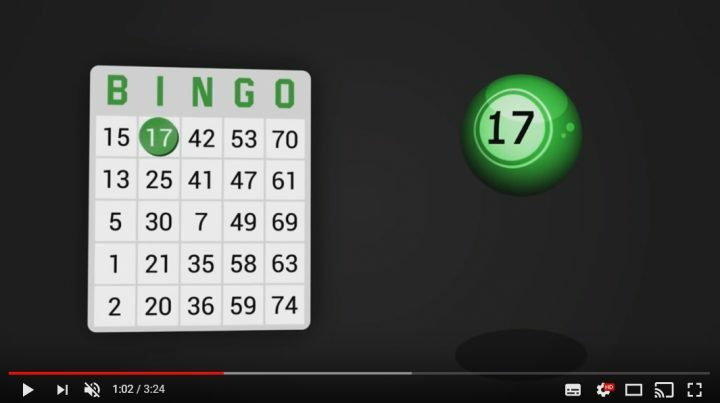 Oasis Poker has a rollover jackpot attached to it, and this means that the jackpot amount will increase every time a wager is placed on the game. 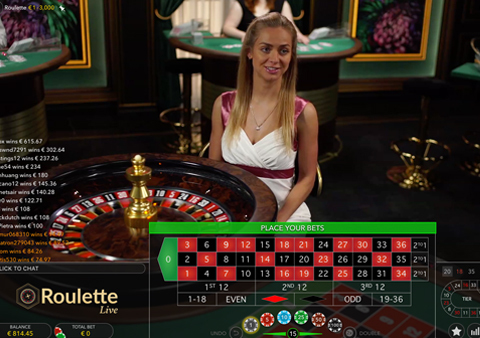 To kick off the game, players need to make their ante bet on a specific section of the table. The dealer will announce no more bets, and you need to have made your bets before he does. As a player, you will get the opportunity to make a bonus bet which will also contribute to the progressive jackpot. The player and banker will then be dealt with five cards face down, and one card face up. The table can accommodate multiple players as they play against the house. Players do not have the permission to share information about their cards. This is done to hinder them from getting an advantage illegally. The point Oasis Poker is different from Caribbean Stud Poker is when they allow you to switch a card of your choice. For you to do this, you need to pay a fee equivalent to your ante bet. You can switch as many cards as you wish but the cost grows as the cards you’re switching increase. The next option after switching will be to fold or play. When you choose to fold, you will be forfeiting your side bets, ante wager, and your playing cards. When you opt to play, you will need to raise by making a wager that is double the amount of your ante bet. 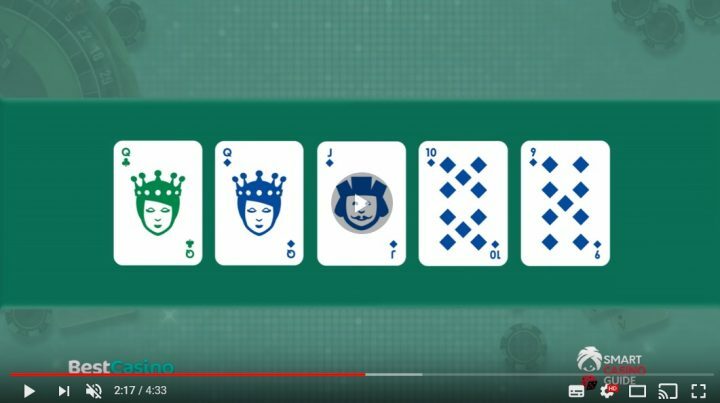 After any of these moves, the dealer will flip his four cards. The dealer needs to have an ace and king to play his hand, or he needs to have a pair, or a poker hand ranked high. The dealer will then be required to examine his hand with punters at the table, and he will start with the one sitting in his farthest right. In the event when the dealer doesn’t qualify, the punter will be the winner and will earn even money on ante bet while the raise pushes. If there is a punter that defeats the dealer’s hand that qualifies, he will win the raise bets as well as the ante. In case of a loss, both bets will be lost. As for the bonus bet, the win is based on the value of the punter’s initial hand. 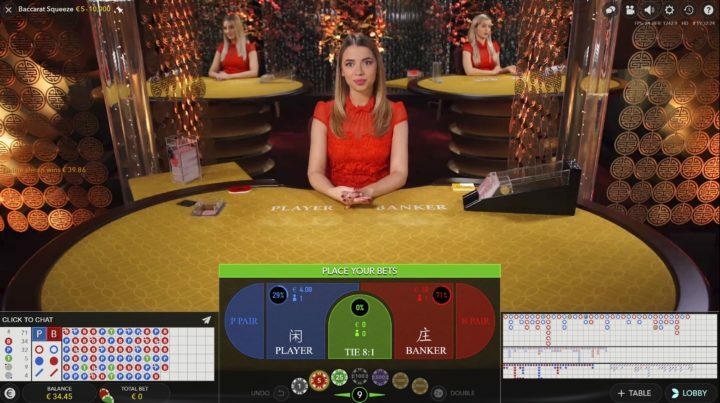 Oasis Poker has its hands ranked according to a hierarchy that is common to other poker games in this section we will randomly list the hand ranks which are ten. This is when you have the Ace, Queen, King, ten and Jack of the same suit. This is a hand of five numerically adjacent cards of the same suit. This can be 7, 8, 9, 10 and J of hearts. In the event when the player and the dealer have a straight flush, the hand that has the highest cards will be taken as the winner. This is when four card match in their ranks. When the punter and the dealer have similar ranks, the higher rank will be taken as the winner. This is when you have three cards of the same rank and two cards of different but rank that is the same. In an event where the dealer and punter have a matching hand, the higher rank three of a kind will take the win. This is when you have five cards of the same suit. When the punter and dealer have similar hands, the hand with the highest card takes the prize home. This is when a hand consists of five numerically adjacent cards, but the suit is not associated in any way. In the event of a tie, the highest valued card wins. This is when you have a hand made up of three cards of the same rank and two cards are unmatched. When the dealer and punter have similar hands, the higher ranked three of a kind will be the winner. This is when a hand is made of two sets of two cards with matching ranks with one card that’s unmatched. When the banker and punter have similar hands, the highest pair will take the win. When the top pairs match, the two lower pairs will take the win. This is when you have two cards that match in rank with three cards that are unmatched. When the punter and the dealer have a matching pair, the hand with the highest kicker card will win. In the event where the kicker matches, the hand will be determined by a second kicker and so on. This is a hand of any five cards that are unmatched and ranked as the highest cards. When playing oasis poker, all you need to do is learn when you are supposed to hold or switch cards. Since you will be playing against the house, you need not worry about other punters on the table. 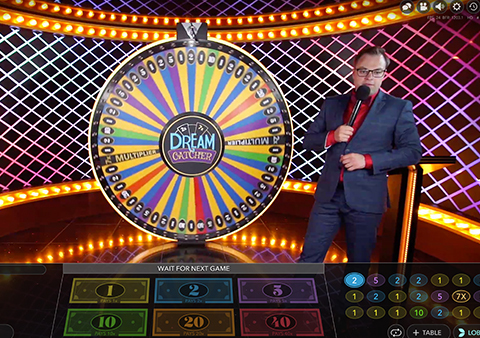 Coming up with a strategy for this game will prove to be a daunting task since you will be required to consider a couple of card combinations to come up with an informed decision on whether you want to switch your card or not. · Four to a straight flush or royal flush, four to an open-ended straight without a pair or four to a flush without a pair. · You can also switch when you have four to a flush with a pair that’s low, four to an inside straight without a pair. As a general player, you need to lower the number of times you switch more than a single card since the cost of doing this will escalate. You need to try your best to hold on any two pairs or three of a kind that you are dealt. Doing so will improve your chances of making your hand better. From this point, rules will be similar to those of Caribbean Stud Poker where you raise the bet by making another one that’s double the ante wager. You have the choice to fold, and this will mean that you forfeit your ante and this will end the game. There are times that you realize that the dealer’s up card is worthless. Raise in events when you have a better or pair, and fold when you have a queen, ace high or low. At times when you have an ace/king high, it will be hard for you to make a decision. Here are three things you can do when you are in such a situation. · Raise when you have a queen or jack, and the dealer has king or ace up. · Raise when the dealer has 2-Q up, and one of your cards match some of his. · When the dealer’s cards don’t match any of yours, raise. If you have a queen and the dealer’s up card has a lower value than your 4th highest card, then you can raise. If any of these does not happen, you are to fold.